… says 22 year-old Shailene. … says Christina in a vintage-inspired feature in The Edit. See the rest of it next! 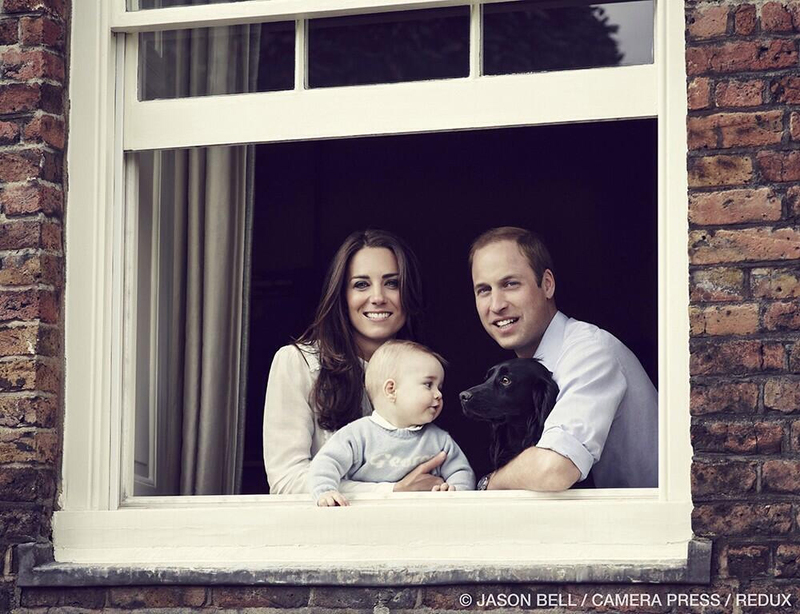 Prince William & Kate release new photo of Prince George & Lupo: adorable? Mar - 30 | Posted by: marc | no comments. Yay! Duchess Kate and Prince William have released a new photo/family portrait a week ahead of their epic Australian and New Zealand tour. What strikes me immediately is that this portrait is very different from those Michael Middleton photos taken at the Middleton country estate. In those photos last August, it felt like Kate was the one being photographed, that everything else was noise. 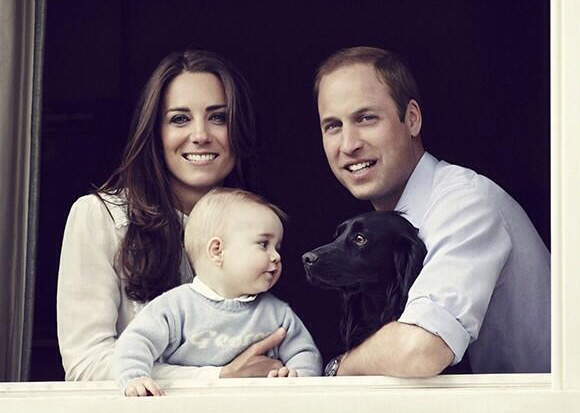 But this photo is all about George, Lupo and William for me. This is one of the best photos I’ve seen of William in a while! He looks good. And George looking at Lupo and Lupo making that “OMG BEH-BEH” face… that’s killing me. I love them. Lupo and George. It’s all about Lupo and George. You know what kills me a little bit? 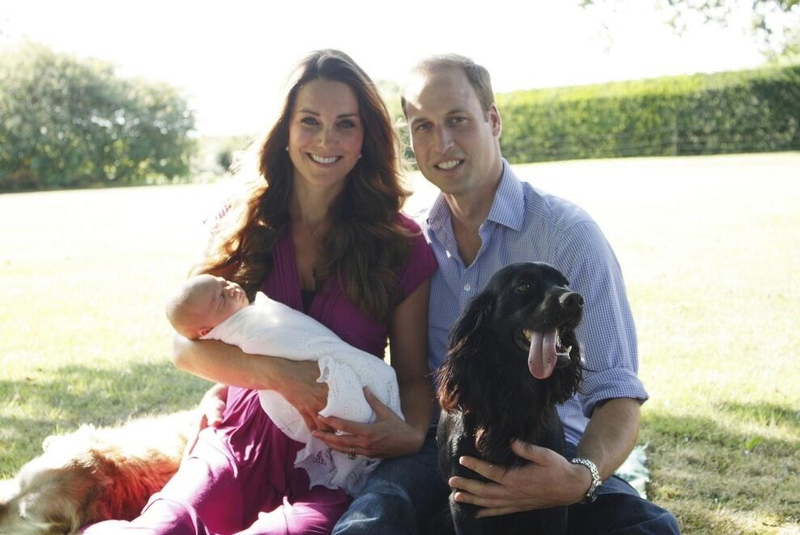 It’s like Will & Kate don’t realize what a good PR-bonanza they’re sitting on with Prince George. Princess Diana understood that people wanted to see her babies, and she was much more forthcoming with the photos and photo-ops. But other than the christening, the Michael Middleton-portraits and the paparazzi photos of Kate and George in Mustique, we really haven’t gotten much of a look at George. So what can we tell from this photo? 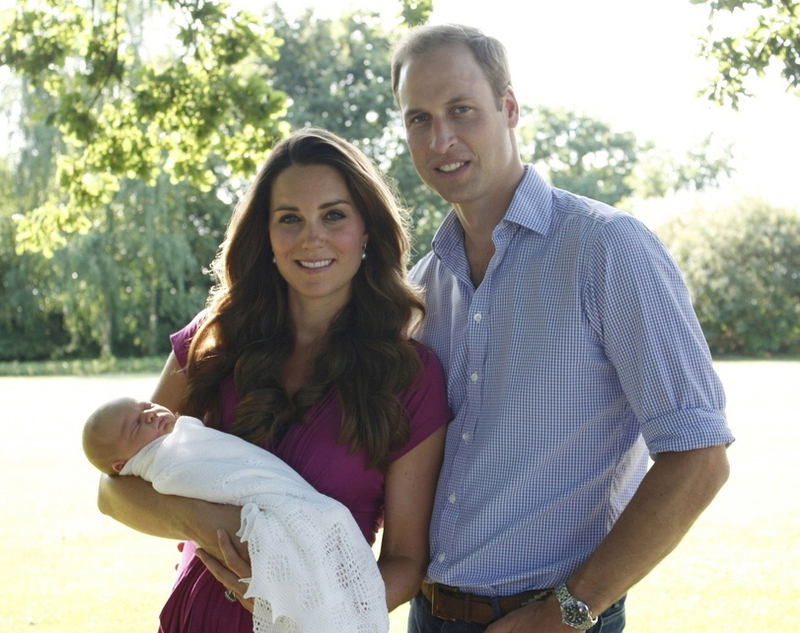 George is a towhead, just like William was at that age. George actually looks a lot like William, I think. Well, at least we’re not talking about their vacations and how they missed George’s first crawl, right? The window/location is Kensington Palace. The way it’s shot is a little bit… Flowers in the Attic. Some critics have already pointed out that it’s almost like Will and Kate don’t want the peasants to get a good look at their palace, but maybe that’s out of embarrassment, you know? The purple-tinged walls still have not been fixed. We wouldn’t want the peasants to see purple-tinged walls! Also: Prince George was left at home on Saturday when Kate, William and Uncle Harry attended the wedding of their friend Lucy Meade – see a photo here. Kate repeated that blue Missoni coat we last saw on her in 2012, during a joint appearance with the Queen and the Duchess of Cornwall. I’m including a couple of shots of George from last August. Photos courtesy of St. James Palace, Michael Middleton. Mar - 28 | Posted by: marc | no comments. 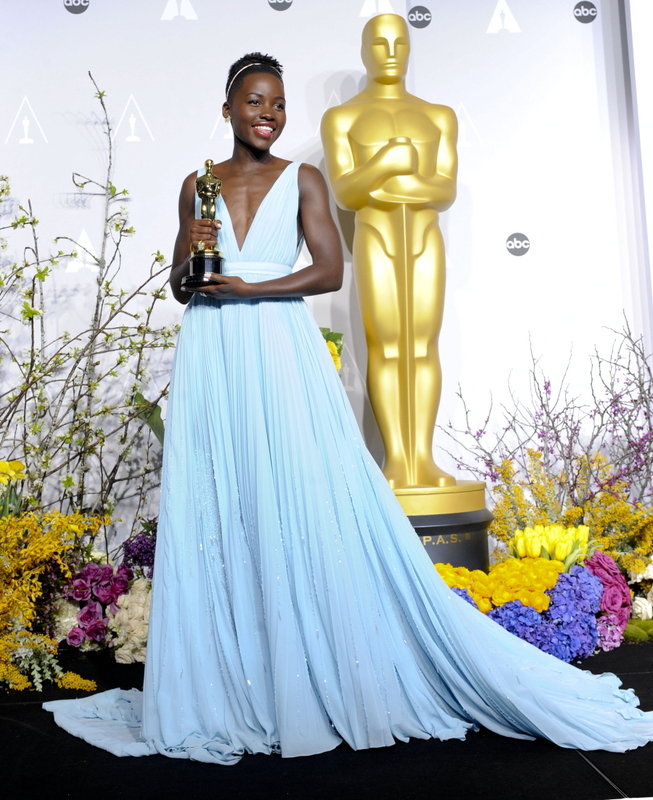 Now that the ball is over and the applause is dying down, what can Lupita Nyong’o really expect from Hollywood? While the stage would appear to be set for her to ascend to the A-list… it’s not that simple. 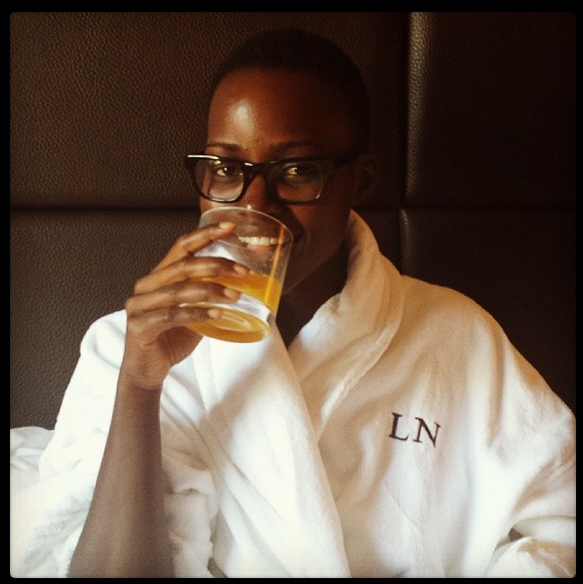 Further complicating Nyong’o’s prospects is the fact that her dark skin challenges an industry prejudice that traditionally has favored black actresses and performers with lighter complexions. See what I mean about insulting quotes? It’s like no one ever stops and says, “Hey, you know how we were looking at Scarlett Johansson/Jennifer Lawrence/Anne Hathaway for this part? Let’s audition Lupita!” The role doesn’t HAVE to be written for a black actress, that’s that point. That being said, I do think that some of the “recommendations” are probably solid – she should (and probably will) sign up for a franchise or some big CGI film, and she’ll try to work with the big directors too. There’s also a discussion in that article about Halle Berry and how if Halle (being light-skinned) couldn’t find consistent work, then Lupita has no chance. Are we really still talking about light-skinned versus dark-skinned? RLY? Photos courtesy of WENN, Lupita’s IG. Jennifer Lopez looked hot as always as she showed up to the American Idol set yesterday while wearing a tight red dress. And in related news, a tabloid has a story this week on how Jennifer’s boyfriend Casper Smart told the superstar that her thighs are too thick for shorts – read it all here! See more of Jennifer next! Emma Watson made an appearance on the ‘Late Show With David Letterman’ in New York City the other night, looking androgynous in a black suit that flattered her slim and lean figure. Miranda Kerr looked all dolled up in a figure-hugging floral dress paired with pumps and glam locks as she was photograped walking in New York City the other day. How do you like Miranda’s current look?